Nikon announced their D7100 camera a few weeks ago and now it is in stock in many camera stores across the globe. A mid range, cropped frame camera for 'advanced enthusiasts' and is the flagship of their DX format DSLR lineup. The list price in the United States is $1,200 for the body and $1,600 when bundled with a 18-105mm f/3.5-5.6 kit lens. The current EOS-7D is over three years old and has been my pick as the best DSLR camera value on the market for years. You can read my review here but the camera's technology is getting old and its Achilles' heel is the mediocre high ISO performance. There are different prototypes of the EOS-7D Mk II out there and they have been spotted now and then. This is nothing unusual and Canon may not have finalized on which model to produce, including the exact specifications and the MP of the sensor. 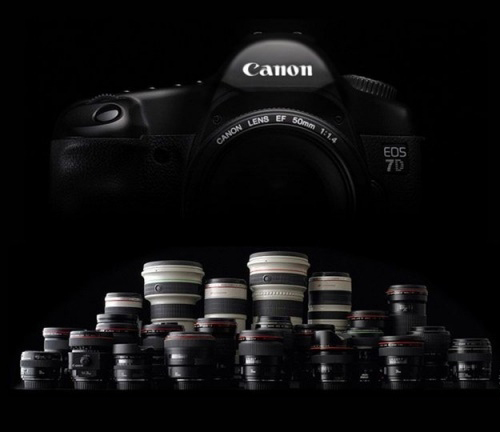 The EOS-7D Mk II will be the leader of the pack for Canon's APS-C lineup. It will borrow technologies from the unparalleled EOS-1D X camera and the EOS-6D. While the Canon EOS-7D Mk II should not be directly compared to the Nikon D7100 due to the expected difference in list prices, the two cameras will be similar in many other ways. Canon may choose to match the D7100 sensor and up the ante by adding GPS and WiFi to the EOS-7D Mk II to justify the higher price. I hope this will not happen. The EOS-7D is a fine camera by sticking to just the basics and providing great value to photographers. The Mk II model should improve on the Mk I's weakness, namely the high ISO performance and come with updated tweaks like the dual DIGIC 5 processors and 10 fps burst rate. We should hear more about the EOS-7D Mk II as the launch date approaches, should be some time in the early second half of the year. In the meantime, you can visit my website MichaelDanielHo.com to see travel and wildlife photos taken with the current EOS-7D camera.